My organic living “Aha!” moment was when I lost 50 pounds. Many things have altered my life, but none quite like food. Yes, food. As a young girl, raised on canned veggies, frozen meat and TV dinners, I never assumed food was the enemy or worried about what was in it. In college, my diet consisted of everyone’s favorites: Ramen noodles, cereal and frozen pizza. After all, food is food, right? Although I remained fairly active and was somewhat health conscious throughout college, I noticed my clothes were becoming snug and my confidence was plummeting. A few years later, I got married. I knew no matter what I looked like, my husband would always, always love me, but I was at my highest weight ever. What had happened to me? With a body mass index of almost 30, I was considered obese. I was miserable, unhealthy and had an array of new health problems — I had high cholesterol and high blood pressure, and snored so badly my husband slept in the guest bedroom most nights. And then it came to me. Why don’t I just eat real food instead of pre-made, processed food? I traded in applesauce for apples, peanut butter for whole almonds and white pasta for quinoa. I started eating clean — cutting out highly processed, artificial foods and eating foods in their rawest form. Every weekend, I prepare a week’s worth of organic meals from scratch — full of lean protein, whole grains and lots of vegetables. I lost 20 pounds in two months. I was ecstatic and people saw my confidence escalating. 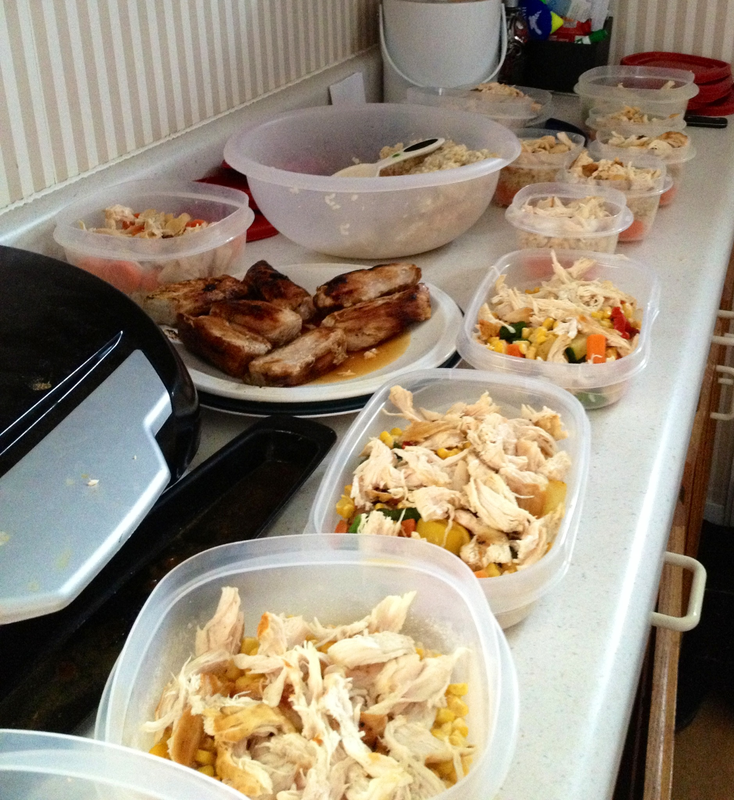 I continued preparing homemade meals, exercising every day and eating only the approved foods on my list. A few months passed, and I was down another 18 pounds. Food is so powerful! After a few months of what I thought was “clean eating,” I discovered the organic section of the grocery store. A light bulb went off in my head. I wasn’t truly eating clean because I was consuming pesticides and GMOs. I took clean eating to a whole new level when I vowed to eat organic. Losing weight was my initial goal, but I realize now health means much more than that. Just for fun, I decided to weigh myself one last time. I couldn’t believe my eyes. From day one to the eleventh month, I dropped a total of 50 pounds! And not only that, I also lost 15 percent of my body fat, went down five pant sizes, and lowered my cholesterol and blood pressure naturally. No pill, shake or crazy cleanse aided in my results — just real, organic food and a little iron pumping. I’m a huge advocate for good food now. I love trying new things, and I get excited about making organic, cleaner versions of my old favorites. It’s reassuring to know that everything I put into my body is making me healthier, inside and out. I don’t miss feeling lethargic, depressed and defeated. This journey changed my life — and I owe it all to good, old-fashioned, organic food. 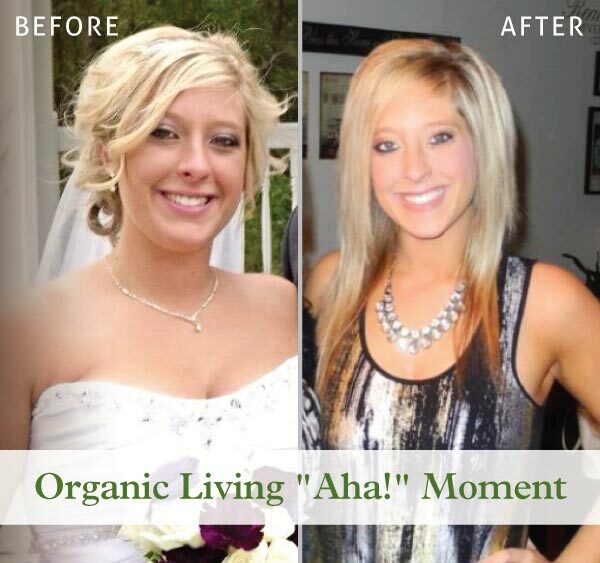 What was your organic living “Aha!” moment? Read more “Aha!” moment stories and share yours in the comments! 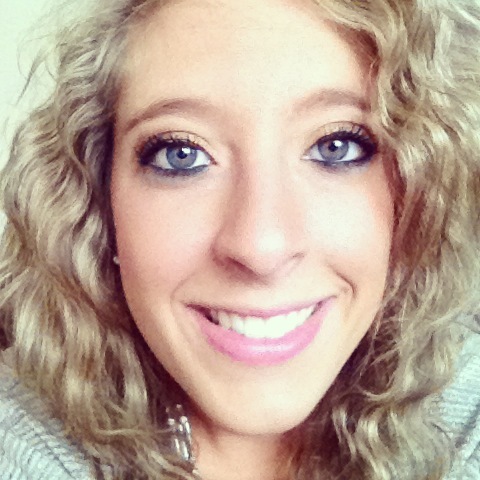 About the author: Kailee Meskimen is a content management specialist for Frontier, Simply Organic and Aura Cacia — allowing her to immerse herself in the world of organic living every day. In her free time, she enjoys experimenting in the kitchen, going for long walks with her dog and traveling the world. This entry was posted in In the kitchen, Natural health and tagged organic living by Cayenne Room. Bookmark the permalink. Congratulations!! Would you mind sharing some examples of what a day of meals looked/looks like for you? When I first started clean eating, I did it cold-turkey, meaning I gave up every fried, processed, artificially enhanced food right off the bat. It was very difficult converting, but once I did I never went back. In the beginning, I ate mostly portioned out brown rice, veggies and a lean source of protein like chicken, salmon or turkey every day. As you can imagine, the same meal got old day in and day out, so I decided to spice it up around the second month. I’d play around with different kinds of low-carb wheat tortillas (corn included) as well as different kinds of pasta, grains and seeds like orzo, wild rice, millet, barley, quinoa and spelt. I always made sure I had at least one to two servings of vegetables per meal and kept fruit and wholesome foods like nuts, Greek yogurt, hummus/veggies or oats on hand for snacks throughout the day. As I got further into my journey, I started adding in different seafood and meats like shrimp, tilapia, tuna, grass-fed beef and (at times) pork, but there were many weeks I went vegetarian and relied on beans, tofu, legumes and lentils for my protein source. If I was stuck on what to make for the week’s prep, I’d search the Internet for clean eating recipes, but knew that I could make any recipe a “clean” recipe if an ingredient was unhealthy. I’d substitute butter for yogurt, white flour for coconut flour, and white sugar for honey or applesauce when baking as well. To this day, these habits still stick. I tend to be a little more lax than I was when I first started, but I’ve learned everything is fine in moderation!